Based in TW20, we are minutes away from your address in Egham. In fact we can provide a rapid service all over Runnymede towns and villages including: Addlestone, Chertsey, Egham, Englefield Green, Longcross, Lyne, New Haw, Ottershaw, Thorpe, Virginia Water and Woodham. Locked out in Egham Hill? No problem! Just give Staines Upon Thames Locksmiths a call! Got a problem with your uPVC patio door in Thorpe? We can help! 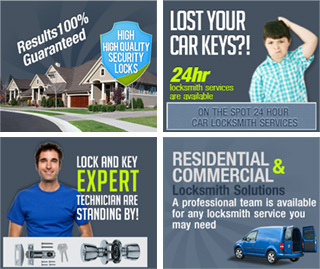 Every home owner and every business owner or manager who ever used Staines Locksmiths' services in the past, knows that we stand by our motto - 24 hour professional locksmith services all around Surrey! As experts in home and office security with over 10 years of experience, we can guarantee any client that we will be there for them day or night. Our locksmiths are local and offer a prompt mobile service in TW20 and the surrounding area all year long. Among our services you will find commercial and residential lock and key services, car lockout assistance and a wide selection of emergency locksmith services, provided 24 hours a day, 7 days a week. Locksmiths in Staines upon Thames can do it all: high security lock repair, lock installation, lock replacement for your door, windows or even for a drawer or mail box. Our emergency locksmith team is on call 24 / 7, and if you find yourself locked out of your home, office or car, they can assist you in this unfortunate situation in no time at all. So if you're looking for a reliable and professional lock and key expert in Surrey, give Staines Locksmith a call on 01784 776152 and one of our technicians will be on his way to help you!